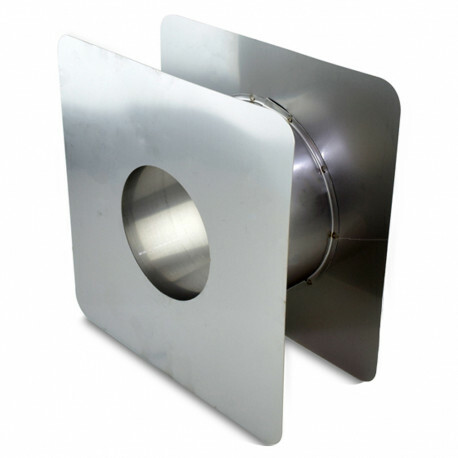 4" Z-Vent adjustable wall thimble should be used when running the 4" Z-Vent pipe horizontally through a combustible wall. Adjustable for walls with thickness from 4" to 7". Wall plates are 10" x 10". Compatible with Takagi tankless water heater models T-KJr, T-K3, T-K3-SP, T-K3-Pro, T-H1 and T-M32.